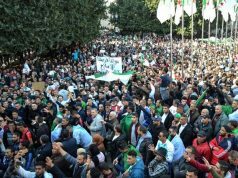 Just as President Bouteflika may have thought the situation was under control, Algerians are again going out to the streets in waves to ask that the president step down. 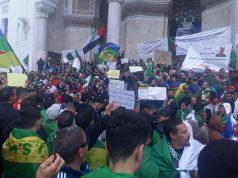 Rabat – Fearing that the Bouteflika regime is trying to trick them into ending their protests without achieving what they were aiming for, Algerians are out asking that the president step down as soon as possible. 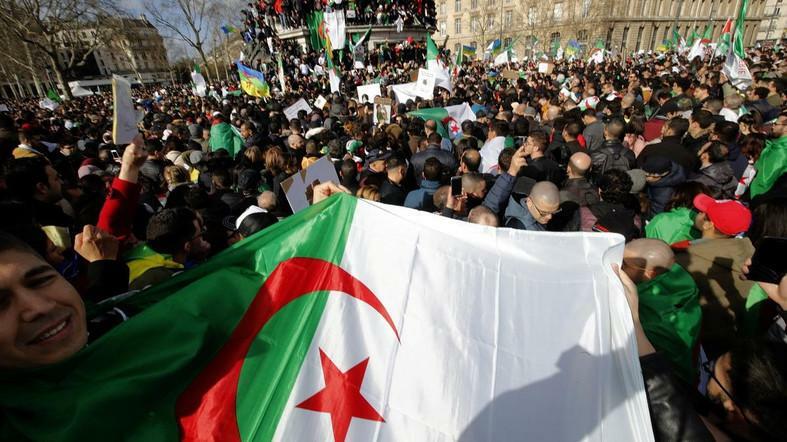 Algeria and the world reacted euphorically earlier this week to the announcement that President Abdelaziz Bouteflika was no longer interested in re-election. 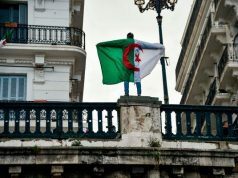 Bouteflika’s office announced that he had “understood Algerians” and was ready to give in for the good of the country. For his decision to give up on his re-election bid, however, Bouteflika asked Algerians to allow him to stay in power indefinitely until a postponed election, originally scheduled for April 18. In place of the celebratory mood on Monday, there now unfolds suspicion about the regime’s sincerity. Many took to the streets on Friday to denounce what they saw as the regime’s latest move to cling to power. 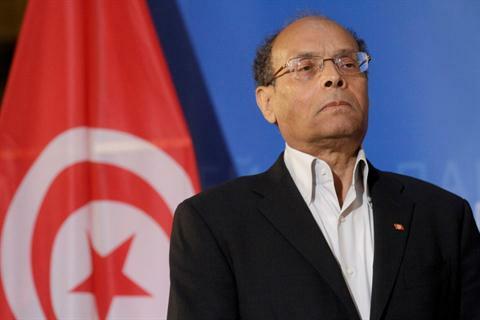 “Bouteflika and his men must go as soon as possible,” Britain’s the Guardian quoted a 23-year-old protester as saying. 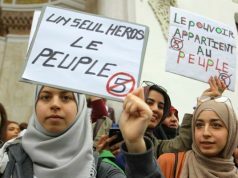 In the boisterous streets of Algiers on Friday, others echoed the young protester’s sentiment, appearing to suggest that the president and his entourage have an ulterior motive. Algerian civil society movements agreed. They urged more protests, saying the regime is playing “trick and divide” to survive. Meanwhile, there are reports that some members of the political establishment, sensing that this may be the last stop for a regime that has ruled for two decades, are joining the camp of protesters. “Game over. 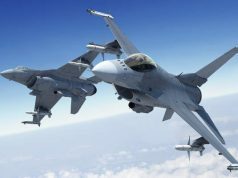 Bouteflika has no choice but to quit now,” members of the president’s inner circle told Reuters on condition of anonymity.